It’s such a wonderful wide world of wine—that keeps most wine columnists from ever getting writer’s block. The problem, sometimes, is that there may indeed be too much stuff to write on and keep up with—especially for one columnist. Okay-okay—mea culpa, Walla Walla wine country has been on my radar for a long time. And of course I’ve desired to write about the very seductive red wines of the area. It’s been seven years; perhaps it’s time I reported. My wife and I traveled to Washington state wine country a couple of years ago, wondrously winding up in Walla Walla. It’s a very scenic city with that small-town feel. A walk down tree-lined streets reveals a trendy eclectic mix of vintage shops, boutiques, cafes, bookstores, tasting rooms, restaurants and more. 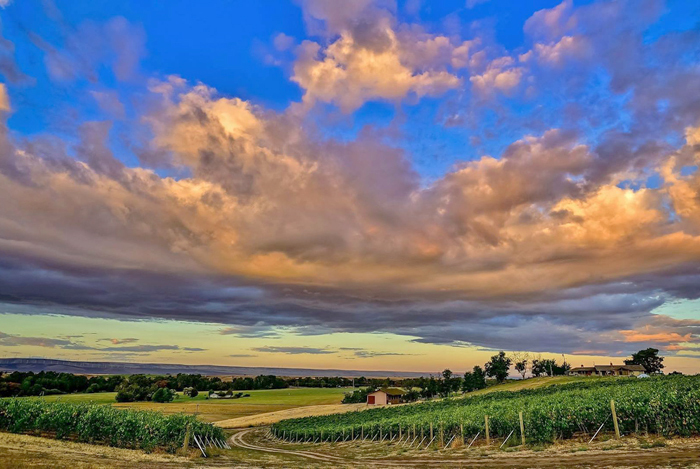 Walla Walla is one of the most fertile agricultural areas in the nation, producing such crops as wheat, asparagus, strawberries and the famous Walla Walla Sweet Onions. 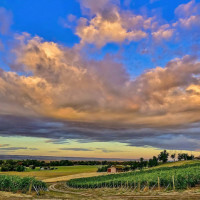 However, these days, it is wine country that Walla Walla is most celebrated, with more than 100 wineries representing a wide range of varietals. And the stuff that’s especially bowling us over is their red wines: Syrahs, Cabs, Merlots, and red blends. Actually what prompted me to decisively get on the Walla Walla wine writing train was the action of the multi-tasking Palm Springs’ restaurateur, ZIN American Bistro & Alicante owner & beverage director, Mindy Reed. Leave it to this wine wise gal to be on the leading edge promoting and showcasing the wonderful red wines from south-east Washington. Palm Springs’ chic and charming restaurant, Zin American Bistro, is in the midst of their 2016 Wine Dinner Series. Last month was the marvelous Saxon Winery dinner with winemaker Jeff Gatner on hand. And just this week, fortunate diners were treated to an exquisite food & wine pairing featuring the wines from Walla Walla Vintners, where owner Gordy Venneri resonated with the crowd. When Gordy Venneri and co-owner Myles Anderson launched Walla Walla Vintners in 1995, they thought they might be too late to the game. After all, Walla Walla already had seven wineries — including some of the state’s luminary producers: Leonetti Cellar, Woodward Canyon Winery and L’Ecole No. 41. Little did the two longtime friends realize that they were still on the forefront of a Walla Walla Valley wine explosion. Walla Walla Vintners 2013 Cabernet Franc – This wine is characteristic of the wonderful Cabernet Francs crafted since 1995. With 9% Merlot and 3% Carmenere, the appealing nose of fresh picked strawberries is followed by a mid-palate of blackberry, huckleberry and cassis. The 2013 Cabernet Franc is no longer available for purchase on the Walla Walla website so it was a special treat for the night! Walla Walla Vintners 2013 Merlot – The attention-getting nose of cedar, oak and violet jumps from the glass and takes you to a sweet espresso beginning, a thick middle of wild huckleberry jam and a finish that dances with flavors of caramel, mocha, leather and fresh black Mission fig. Walla Walla Vintners 2013 Cabernet Sauvignon – Wafts of violets and woody herbs envelop a heart of pure, black fruit; blackberry, currant and plum. Velvety tannins deliver black cherry flavors dotted with cinnamon, anise and clove, turning to cassis, currant and cedar on a lingering, earthy finish. You can check out their total wine portfolio at www.wallawallavintners.com, and peruse ZIN’s wine list for feature wines by the bottle or the glass. As both your “wine steward of Rancho Mirage” and “somm-about-town”, I’m just amazed how narrow the Syrah shelfs in our wine markets are. A decade or two ago, Syrahs were the bomb! The shelves were full of them. Everybody was enjoying the full fruit flavors and interesting complexities found in these wines. But they seemingly went out of favor. With so many Millennials getting into the wine game, I think Syrah will be back in the high life. 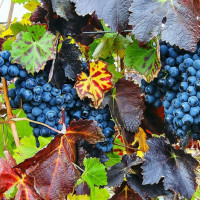 While the Rhône, Australia and California are the leaders when it comes to Syrah production, watch out for Walla Walla. 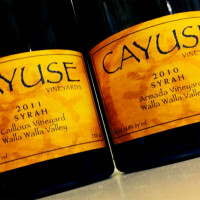 My current wine love affair is Syrah from Walla Walla. 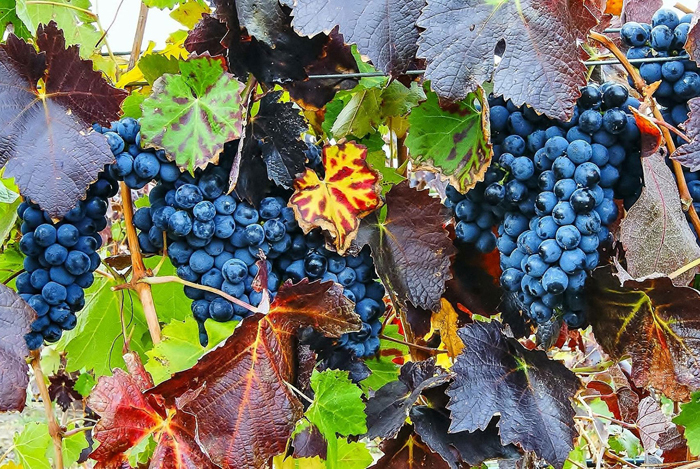 The terroir—if you please, appears to work as a heavenly garden garrison allowing the Syrah to shine with vibrant and complex flavors which produce a wine of elegance and balance that’s a splendid match for a meal. The classic profile includes aromas of cured meat leading to flavors of dark fruit, blueberry, black pepper, black tea and earthy minerality that are backed by smooth, approachable tannins in the lengthy finish. 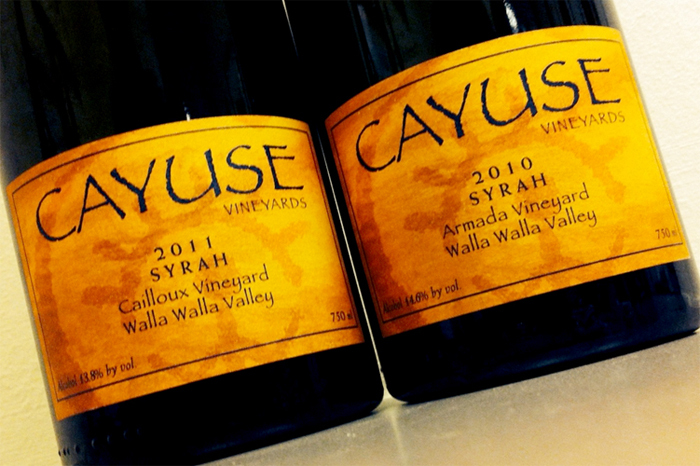 Interesting—as I’m writing this piece, the current Wine Spectator magazine was just placed on my desk; and, it features on the cover winemaker, Christophe Baron, founder of Cayuse Vineyards that makes some of Washington’s best Syrahs from—well, you guessed it! Walla Walla. By the way, another up-coming Wine Pairing Dinner at ZIN American Bistro will feature Hyde Wines from Napa-Carneros on May 17th. Always expect the best. Previous articleACTION FOR ITS OWN SAKE!